tout ceci est magnifique: B. V. R. B.
Bernard II van Risen Burgh (1696-1766) was an ebeniste of Netherlandish descent who signed his pieces with the elusive monogram B.V.R.B. Not until 1957 was the true identity of this great ebeniste uncovered. 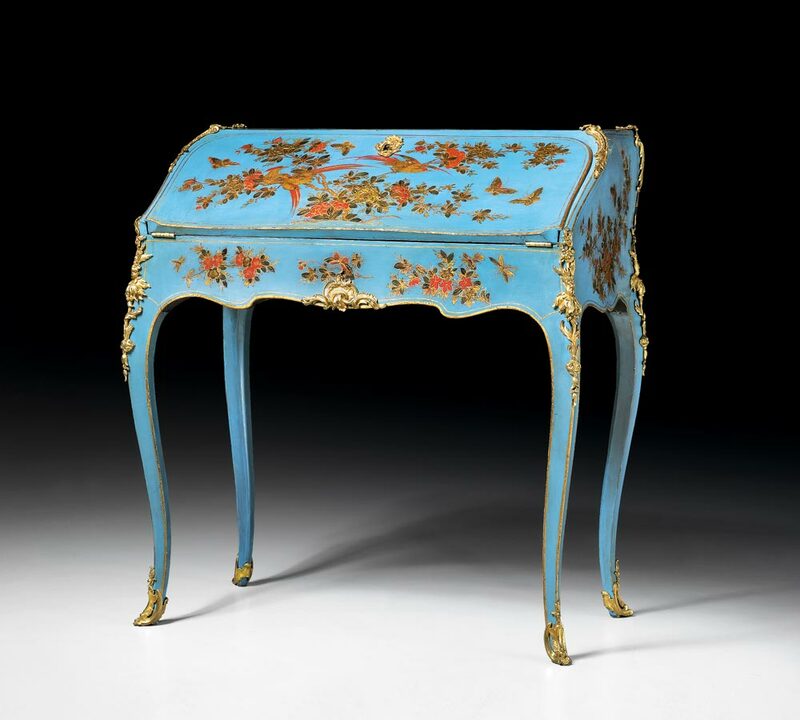 Van Risen Burgh was known for his furniture decorated with Japanese lacquer, first appreciated by the French Queen, Marie Leszczinska in 1737. His work is recognized by its gilt bronze mounts that were designed by BVRB himself. BVRB worked mostly with fashionable furniture designers such as Lazare Duvaux and Thomas-Joachim Hebert. He had no contact with aristocratic or royal potential patrons and kept his studio on the Faubourg Saint-Antoine, a more humble section of Paris than most ebenistes chose to set up their shops.